It's beginning to feel a lot more festive at Niagara Health. 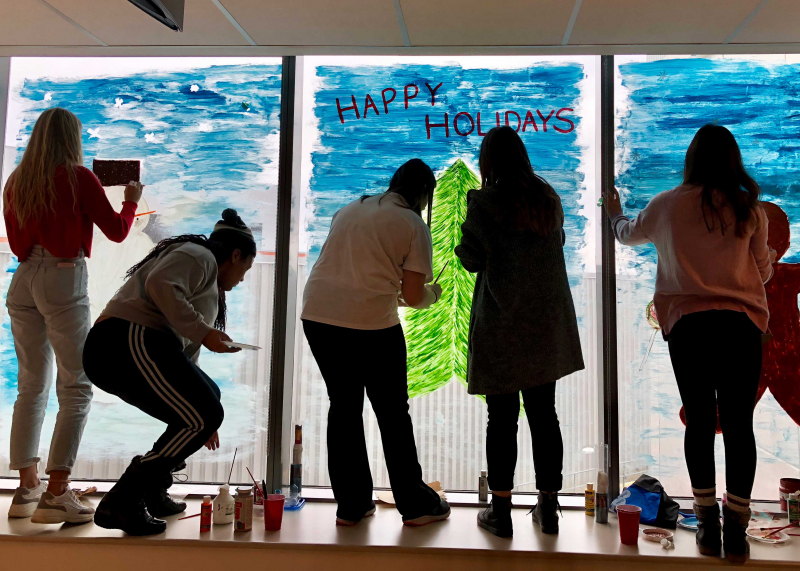 Students from three local high schools spread holiday cheer to patients, visitors and staff by painting festive window displays at our St. Catharines Site on Saturday, Nov. 24. 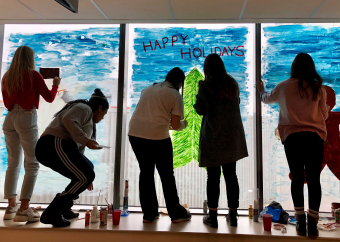 More than 50 students volunteered their time to paint the seasonal displays throughout the hospital. Niagara Health Occupational Therapists Andrea Lindsay started the project six years ago as a way to brighten the spirits of everyone in the hospital over the holidays. This year's event featured students from St. Francis, Denis Morris and Governor Simcoe. The event was also covered by Niagara and Hamilton media outlets, including the St. Catharines Standard, CH News and Your TV Niagara.